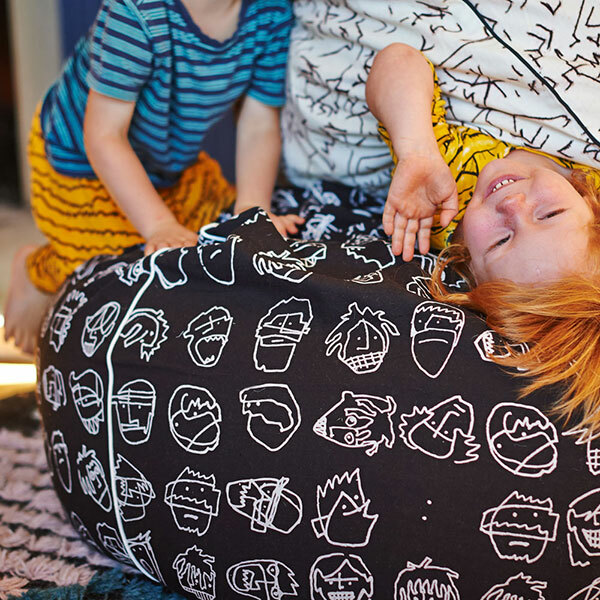 When bedding giant Kip & Co flung open their creative design door, inviting arty types to submit their favourite design for the chance to be part of the first ever Art Series Bean Bags collection, great things happened. 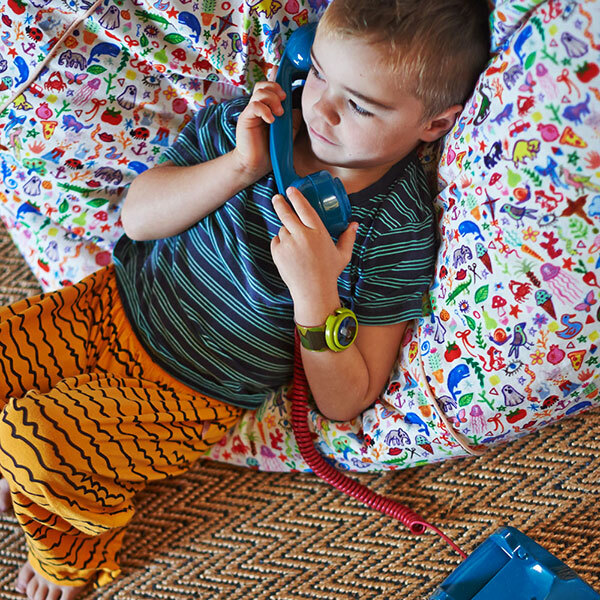 The end result is that Kip & Co has turned out its most awesome bean bag collection yet. For every person that loves the contemporary cool style of all things monochrome and minimalist, there’s one that loves to bathe the senses with all things colour and print and for all that is brash and bold, Kip & Co has it in spades – or bags it seems. Made from a durable cotton canvas and with a mega 250 litre capacity (yes, that’s nearly three bags of beans! ), the Art Series Bean Bags are going to be a hit with bodies both small and large. Choose from the sticker collection print of the Rawaan, the uber cool seadogs of Mr Smudge, the stitching pattern of Devinder or, my most favourite, the deliciously bright and playful Leticia. Available directly from Kip & Co, an Art Series Bean Bag will set you back $139, but be quick – these artful gems are limited edition!